Welcome the holiday season with us! 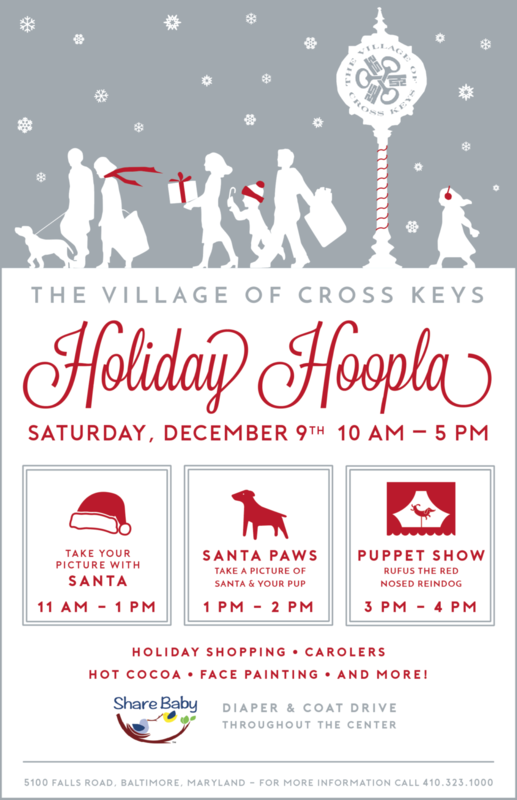 Join us with your family and enjoy a fun, activity-filled Saturday at The Village of Cross Keys. Don’t miss a chance to take your picture with Santa or your pets’ picture with Santa! Stroll around the center for cheerful holiday shopping as the merry sound of carolers fills the air. It’s the season of giving, so what better time than this to give back. Bring items to donate and support our Share Baby Diaper and Coat Drive throughout the shops at The Village of Cross Keys!